This document covers the Microsoft Identity Manager testing features of MIM DevTest. If you would like the description of this product's coding features for writing MIM Rule Extension using MIM DevTest, please see visit Uplift and the Rule Engine. MIM DevTest runs and lives within a non-production version of Identity Panel with all providers, and employs Canopy. 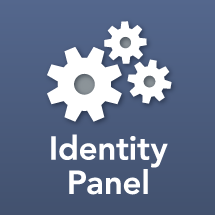 It is an Identity Panel solution, but is licensed for use for development purposes only. Note: If you want to run the same functionality in production (many customers do want this ability), so you can operate Identity Panel with all of its MIM DevTest features including rollback, restore, and clean-up, you would need to license Identity Panel Core Framework for production with the respective providers needed, add-ons, and Recovery Panel. Automated testing of MIM has three primary benefits for the organization. Automated testing reduces costs by dramatically reducing the time needed to develop and test solutions. The majority of any MIM 2016 project is spent in debugging, and QA testing. Much of testing is spent setting up data and waiting for synchronizations to run. MIM DevTest reduces the time spent to set up data for tests by connecting directly to systems that feed into MIM and loading and manipulating preconfigured data. Essentially, instead of manually entering data for every test, you enter once in your MIM DevTest configuration then re-use it as many times as needed. MIM DevTest dramatically reduces time spent waiting for synchronizations because runs management agents and programs in the context of test cases. When testing with small numbers of objects (like in most development testing scenarios), most of the time spent in synchronization is either tedious GUI manipulation, or dead time waiting for the Synchronization Service Manager to refresh. MIM DevTest is often able to run dozens of synchronizations in the time it would take to an operator to do one or two manual runs. MIM 2016 has a somewhat unique risk profile. The batch nature of MIM means that it’s less sensitive to downtime than other critical tools. However its usual role of managing user accounts means that a configuration error can have devastating effects on the enterprise. Most seasoned MIM professionals have horror stories of events like enterprise wide password resets or account deletions. Automated testing controls risk by allowing efficient verification of existing functionality. MIM DevTest provides the ability to run tests and automatically verify the results in target systems. This allows effective QA regression testing without imposing unrealistic burdens on project timelines. Often when deploying MIM 2016, it can be challenging to verify that adequate tests have been performed to provide coverage of all business requirements and objectives. MIM DevTest allows testers to create a mapping from business objectives to test cases. With MIM DevTest it is possible to generate reports illustrating how objectives and requirements have been mapped to automated tests. MIM DevTest cases are repeatable and make verifiable assertions about how MIM 2016 changes target systems, so it is easy to demonstrate the results of a particular business objective on an as-needed basis. Test results based on business objectives are a valuable deliverable that allows businesses to be more confident about implemented functionality before signing off on deployment.